Melvin was a late bloomer in sports as he took up running at age of 21. Despite his inability to swim and ride a bike, triathlon provided the right challenge for him to be fully engaged in overcoming his fear of water and riding on 2 wheels. From ground zero in 2005, Melvin worked his way up to earn a berth in the 2007 SEA GAMES Duathlon Selection Squad. His work ethics and commitment led to further success, as he became a regular fixture at the pointy end of the local races. His multi-sport accolades included 2x OSIM Triathlon age-group champion (2008-09) and Asian Duathlon age-group champion (2009). Melvin continued to show versatility as he took tops honours as National Vertical Marathon Champion in consecutive years (2010-11) and his improved fitness earned his first call-up to the Singapore Team in the Asian Duathlon Champions 2012. Melvin is proud of his roots and credits a lot of his successes to the holistic education and development system in Singapore. His belief is to always work within one’s means. And it was this belief and drive for success in his work and sports that kept him motivated through his daily 10-hour workday and rigourous training sessions. With a renewed focus, Melvin directed his goal to becoming the top local distance runner in 2013. 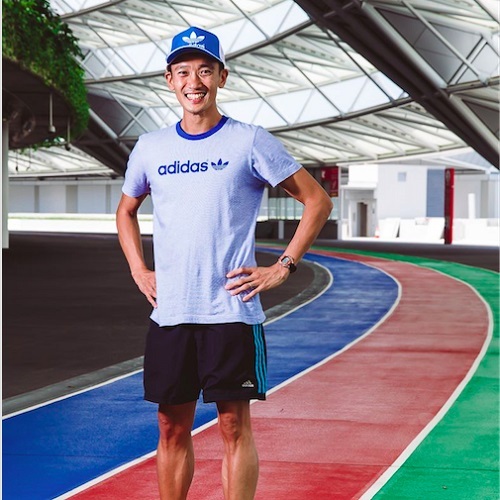 With a tweak in coaching staff and support group, he earned a breakthrough year in 2015 – representing Singapore in the 2015 South East Asian Games (5,000m and 10,000m), lowering all his Personal Records from 5000m to the Marathon in the same year. Melvin captured the hearts of the nation with his final burst in the 10,000m finals at the SEA Games and stepped up his engagement with the community, as he was the face of a local boy who worked his way up – balancing his rigourous corporate responsibilities with his intensive training regime. His humility, passion and tenacity caught the eye of several corporations who are looking to invest in an influencer within the running community. Hence, he has been invited for several engagements such as keynote speaker for Tata Consultancy and re-invited as the Ambassador for Standard Chartered Marathon Singapore 2015. In 2016, Melvin is privileged to be the pioneer ambassador of The Performance Series (TPS). He will be looking to inspire the running community to greater heights via this new race series. Be #MELVINSPIRED and #TRANSCENDYOURSELF.